Do you feel like you need a vacation? If you’re anything like most Americans, you probably do. More than half of the country’s employees leave precious vacation days on the table every year. And those who use their vacation days are now more likely to take “work-cations,” where they work remotely during their time “off” instead of traveling somewhere and relaxing. For one thing, the travel industry wants you to know that not traveling is bad for you—and while that industry has an obvious vested interest in more people traveling, the results of a recent travel industry-supported survey do make logical sense. The claim: There is a direct link between untethered, travel-focused vacations and overall happiness, productivity and even physical wellbeing and mental health. The conclusion: The work martyrs who dominate America’s professional culture are not only sapping the country’s travel industry of tens of billions of dollars—they are also dooming themselves to lives that tend to be unhappier. In contrast, workers who periodically unplug, leave the office and hit the road are happier, healthier and get more done professionally. Are you among the 52% of American workers who leave vacation days on the table out of a sense of obligation, because your workload is too heavy or out of fear that you’ll appear less dedicated? You’re not doing yourself, your boss or your family any favors. For decades, American workers took an average of 20.3 vacation days per year. But that trend stopped at the turn of the 21st century in 2000, when the number suddenly plummeted—then plummeted even further around the time of the 2008 stock market crash—and never fully recovered. Some good news emerged—starting in 2015 the average amount of vacation days taken started to climb, and in 2017, Americans took off an average of 17.2 days. But the American workforce still leaves more than 200 million earned vacation days unused each year. And, of course, “time off” no longer means “not working” for a great many employees. According to the survey, “mega travelers”—those who spend more than 75% of their vacation time traveling—are happier with their companies, their jobs, their physical health and wellbeing, their personal relationships and how they spend their time off than those called “homebodies,” who spend less than 25% of their vacation days traveling. Mega travelers also reported being promoted more often and receiving bonuses or raises more frequently than those who don’t use as much of their time off to travel. One thing in favor of the 25% to 75% travel group—they at least reported greater satisfaction across all five categories than respondents who spend less than 25% of their vacation days away from home. 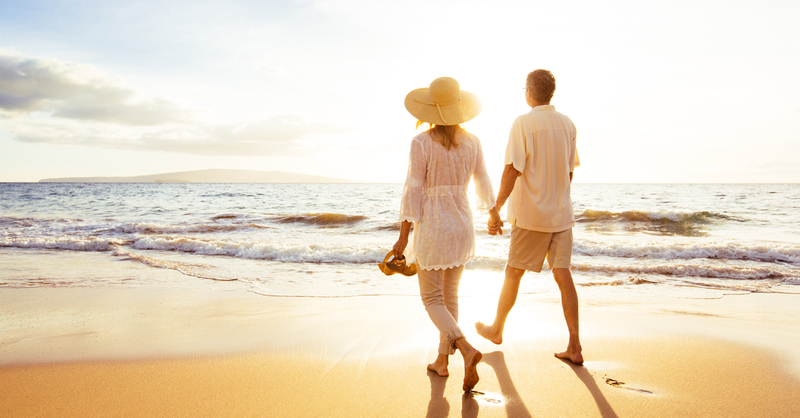 Your vacation habits likely have a lot to do with your age. Baby boomers take the most vacation days—an average of 19.8 per year—but they spend the least of amount of their time off—just 45.5%—traveling. Millennials, currently age 22 to 37, are the opposite. The 14.5 vacation days they take represent the fewest days of any age group the study surveyed, but this younger demographic uses 48.9% of that time to travel, which is more than any other demographic covered in the poll. Gen Xers, currently age 38 to 53, take off 17.9 days per year on average and travel on 45.8% of those days. Those age-related differences, while interesting, still leave every age group sacrificing time off and shunning travel to a great degree. In the end, 86% of Americans surveyed across all age groups believe they have not seen enough of their own country—and more than half of them are relinquishing the very vacation days they could have used to do just that. So, with all these potential gains and losses, why aren’t people using their hard-earned time off to get out and see the world? Those who report fear over appearing less dedicated or becoming expendable at work are much more likely to let vacation days go to waste than the average American, as are those who feel their workloads are too heavy or that they perform work that no one else could do in their absence. Putting the question of travel aside for the moment, the one factor in the survey that everyone can probably agree on is that workers should get paid what they’re supposed to get paid. According to the survey, by not taking all the paid time off that they earn (travel or no), the average American worker “donates” $561 per year in work time to his employer in the form of that unclaimed benefit. Picture yourself handing your employer that money each year…for the privilege of working more…and maybe you’ll start taking your days?